Peter James Haworth stars as Lear, in this story of an aging king who divides his kingdom amongst his three daughters. The two elder daughters who offer flowery lip-service are each given half, while the third daughter—who refuses to play his game—is banished. Having unknowingly rendered himself powerless by giving away his kingdom, Lear learns too late that he has mistaken his personality as the source of his power. Lear is thrust into the world of the homeless, and unable to accept the truth, he goes mad. Shakespeare’s monumental tragedy for the ages continues to speak to the difference between haves and have-nots, with parallels in our own times to homelessness, mental illness, and the tyranny of the super-wealthy. Presented at The Gladstone Theatre by Bear & Co., who bring full-blooded Shakespeare to your park in the summer, with music direction by Rachel Eugster. Produced with assistance from the New Theatre of Ottawa. Our post-show reception on Opening Night will be co-hosted by PAL Ottawa, whose mission is to provide affordable housing for senior arts workers in the National Capital Region. We could use your help! Please consider making a donation to help us bring this large project to fruition. Follow the link, or click on "DONATE" in the left-hand menu. 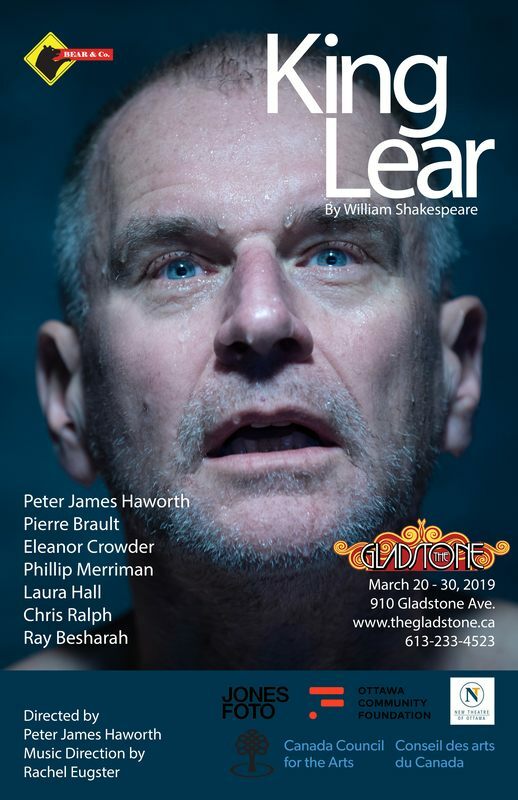 A native actor and playwright of Ottawa, Nicholas is making his sixth appearance on the Gladstone stage within the past three years with King Lear. He is getting no younger, but has become much saucier. Recent credits include Cry-Baby: The Musical, Othello, and Little Shop of Horrors (Theatre Kraken), as well as Agent Madeleine and his own work, AWOKEN. 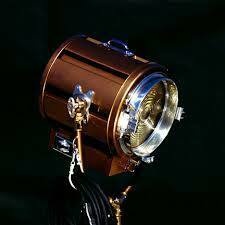 He will be appearing later in the Gladstone season in the Three Sisters Theatre Company production of Nell Gwynn. Nicholas will also be premiering his latest work, ARNOTT: a Masterclass in Good Theatring, this June at the 2019 Ottawa Fringe Festival. Enjoy, kids! And remember: make cupcakes, not war. Ray Besharah is grateful to be working with such a great team. And he’s really impressed that you came out to see a Shakespeare play. Not everyone goes out to see Shakespeare plays, but maybe they should. Or at least they should give it a decent shot. But look at me, preaching to the choir. Ray Besharah’s previous Shakespearean credits include Romeo in Romeo & Juliet (St. Lawrence Shakespeare Festival) and Horatio in Hamlet (Black Sheep Theatre). And wow! I’m really impressed you’re still reading this. You’re a big reader, huh? Well I dedicate this show to you, friend. Pierre Brault is a multi–award-winning actor, playwright, and stand-up comedian. He is perhaps best known for his many solo plays performed at the NAC, the GCTC, and at The Gladstone, including The Last Spartan, Will Somers: Keeping Your Head!, Portrait of an Unidentified Man (Both nominated for a total of 6 Rideau Awards 2017) 5 O’Clock Bells and Blood on the Moon (Capital Critics Circle and Montreal English Critics’ Circle Awards: Best Actor), which ran for three consecutive summers at the NAC and toured Canada. His works have appeared on stages in New Zealand, Great Britain, and Ireland. Leah is an actor and musician who has worked in performance, facilitation, and arts education for over 15 years. Having received a B.A. in Theatre Arts from Brown University, a Music Theatre Performance diploma from Sheridan College, certification in Movement for Trauma, and having led community development projects in multiple cities, Leah is passionate about story and the intersection of art, justice, health, and neighborhood. ​ Performance highlights include Miss Shakespeare (Judith, Three Sisters Theatre Company, Ottawa), Three Trees (original cast, Pan Asian Rep, Off-Broadway, NYC), Baz and Me (original cast, Trinity Playwrights Rep, RI), Sunday in the Park with George (Dot/Marie, Arche Theatre, Toronto), Reflection (short-film, Hazuki Aikawa, NYC), The Abolition Project (founder, ensemble member, Boston). Leah is humbled to be sharing in this story with such a resilient and generous family of artists. Thank you, Chris, for suffering with us. Eleanor Crowder is delighted to headline with this stellar cast. Ottawa audiences know her Mother Courage (Third Wall), her Kate in Peter Hinton's legendary Shrew (tents and candles), and her work with Bear’s summer Shakespeare projects (Good Duke/ Bad Duke costume changes on the run for Will Somers's As You Like It). She last appeared at The Gladstone as Mary Barfoot in Diana Fajrajsl’s direction of Age of Arousal. Audiences across the country relished her cranky tough-love role in her own Momma’s Boy. Last summer, she toured Vern Thiessen’s Shakespeare’s Will across Newfoundland. She is excited to share that solo show with you at The Gladstone in 2020. 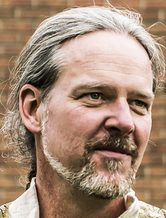 Dave Dawson is an Ottawa-based director, dramaturge, actor, musician, and teacher. He studied music, film, theatre, and education at the University of Ottawa, Carleton, and at Queens. He has directed more that 50 plays and musicals, including dozens of premieres, more than thirty Canadian touring productions, six Shakespearean productions, a national tour of Bat Boy: The Musical, and two New York premieres. Dave has directed and dramaturged six successful new solo touring works/ including Bremner Duthie's internationally acclaimed '33: a Kabarett, which has been touring steadily for more than eight years around the globe, most recently in New York. In Ottawa, Dave has received two Rideau Award nominations and a Capital Critics Circle award for Best Director (2012). Dave is also chair of the board of the Gladstone Theatre. A core artist and co-founder of Bear & Co., Rachel has directed music for Bear, Salamander Shakespeare Co., Gladstone Productions, and the GNAG Theatre Program. She conducts the SJCC Ottawa Jewish Chorus, and previously served as an interim conductor for Ottawa’s Chinese Community Choir. Working with this remarkable team on the incredible piece that forms the bedrock of our incidental music has been sheer delight. As an actor, Rachel was seen most recently at The Gladstone in Bear’s This Flight Tonight: Songs of Joni Mitchell, in Three Sisters’ Miss Shakespeare, and before that in Bear’s No Way to Say Goodbye: Songs of Leonard Cohen. Other Bear highlights include Martha in Virginia Woolf, Amanda in The Glass Menagerie. Banquo and Lady MacDuff (and music director) in Macbeth and, produced by Spidersilk Productions, Æmilia Lanyer in her own original play Whose Æmilia?, whose central character might have been Shakespeare’s Dark Lady of the Sonnets—or not. Rachel is also the author of the award-winning picture book The Pocket Mommy (Tundra/Penguin Random House). Michelle Ferranti is a newcomer to Canada with over twenty years of professional costume experience in the United States. Most recently. she was the resident costume designer and wardrobe supervisor for American Repertory Ballet for five years. Before that. she was on the faculty and staff of Marymount Manhattan College, where she taught costume construction and designed for 12 years. Currently, Michelle is an apprentice member of IATSE Local 471 and an instructor at Ottawa School of Art. Since coming to Ottawa, she has designed for Three Sisters Theatre Company and Bear & Co. She holds a BFA in Dance, an MA in American History, and is the author of several articles and book chapters on various aspects of design and cultural history. Her website is www.MichelleFerranti.com. Gabriella, of British-Brazilian descent, moved to Ottawa in late 2017 from the U.K. There she studied physical theatre at East 15 Acting School, and has since worked as a deviser and performer. Gabriella’s Canadian debut was Plosive Productions’ show Blink, in which she played Sophie at the Gladstone Theatre. This show helped earn her a nomination for the 2018 Prix Rideau Awards Outstanding Emerging Artist award. Last Christmas, she performed with 9th Hour Theatre Company in The Lion, the Witch, and the Wardrobe as the villainous Dwarf. This will be Gabriella’s first time working with Bear & Co. She is thrilled to play Cordelia with such Ottawa veterans. Laura Hall is a local Ottawa performer, writer, and improvisor who has appeared on stages and screens across Canada. Some of her favourite roles include Blanche DuBois in A Streetcar Named Desire, Stan in The Root of all Squares, and Caroline Bingley in Pride and Prejudice. You may have seen her recently at the Gladstone in Miss Shakespeare or at the Royal Oak competing in Crush Improv's Bout Time Tournament. Laura is eager to get back on stage with such a talented group of performers. Peter James Haworth’s work as a theatre director is influenced by his experience as an actor. He has performed on stages across Canada for over forty years, and worked with such directors as Michael Langham, Robin Phillips, Martha Henry, and Diana Leblanc. Recently in Ottawa, Peter directed Sylvia, Attempts on Her Life, and Art (for Same Day Theatre) at the Gladstone, as well as Frankie and Johnny in the Clair du Lune. He was the assistant director of The Cherry Orchard at the Stratford Festival. Peter was the founder and co-artistic director of ShakespeareWorks from 2002 to 2007 working with RH Thomson and Christopher Newton. He was also the artistic producer of Actors’ Repertory Company from 2009 to 2010. As a performer, Peter’s selected theatre credits include Tolstoy: A Confession, Dief the Chief, Dominique Villepin in Stuff Happens (National Arts Centre), Ian Brown in The Boy in the Moon (GCTC), Christopher in Martin Crimp’s The City (Actor’s Repertory Company), Hortensio in The Taming of the Shrew (ShakespeareWorks), Anthonio in The Tempest (Manitoba Theatre Centre), Mark Antony in Antony and Cleopatra (Bard on the Beach), Gabe in Dinner with Friends (Neptune Theatre), File in The Rainmaker (Theatre Aquarius), Albert Walker in Stolen Lies: The Albert Walker Story (Blyth Theatre Festival), Philadelphia Story (The Grand and Citadel Theatres), Sam in Lips Together, Teeth Apart (Manitoba Theatre Centre, Belfry Theatre), and Honeyman in A Walk in the Woods (MTC, Gateway, Aquarius). In Toronto, he was a member of the first Soulpepper season, playing Philinte in The Misanthrope. Jennifer is delighted to be returning to Ottawa after nearly five years abroad! After stage managing Bear & Co.’s first production, ’Tis Pity She’s a Whore in 2012, and graduating from the University of Ottawa, she moved to Oxford, England to pursue her doctorate in medieval literature. Whilst overseas, she stage managed student productions of The Nether, RENT, Pentecost, and Singin’ in the Rain at the Oxford Playhouse, and was the technical director for two years of TEDxOxford. She has also worked as a lighting and sound technician for the New Theatre Oxford, the Oxford Playhouse, the North Wall Theatre, and Pleasance Grand at the Edinburgh Fringe. Recent design work has included lighting for Arawelo (Somali Week Festival, London), The Squirrel Plays (Wandsworth & Edinburgh Fringes), and Tristan and Isolde (Sheldonian Theatre, Oxford). With a B.A. in Theatre from the University of Ottawa, Neil Kelly has spent four decades as a writer (food security!) and ACTRA member. Two workshopped shows at GCTC, local films and TV, 11 seasons at OLT. He is on the housing committee of Professional Artists Lodge (PAL) Ottawa, and is proud to enter this gallery of talent, Bear & Co. Thanks to dear Marie and sons Louis-Thomas and Vincent for your endless support! National Stage Combat Training Partners is the nom de guerre of John Brogan and Chris McLeod. They teamed up in 2011, combining decades of fight directing experience, and have been keeping actors safe and audiences entertained ever since. David Magladry has been a professional lighting and set designer for over 20 years, working in theatre, television, museum exhibitions and special events. Clients include Bear & Co., Plosive Productions, The Great Canadian Theatre Company, Eddy May Productions, Algonquin College Theatre Department, Classic Theatre, The Canadian Museum of History, and The Canadian War Museum. and Music" concert here in Ottawa, on Bear & Co.'s This Flight Tonight: Songs of Joni Mitchell, Grounded, and No Way to Say Goodbye: Songs of Leonard Cohen, and the St. Lawrence College productions of The Wizard of Oz and Twelfth Night. Phillip is absolutely humbled to be taking on the role of Edgar in this production of King Lear. As an Ottawa-based actor, Phillip was most recently seen as Dr. Frank N. Furter in The Rocky Horror Show with Ovation Productions. Previous credits include Iachimo, Cloten and Arviragus in Cymbeline (Bear & Co.), Max in Bent (TotoToo), Jack in Dead Accounts (Ottawa Little Theatre), and Romeo in Romeo and Juliet (Bear & Co.) Up next, you can catch Phillip as King Charles II in the musical Nell Gywnn, presented by Three Sisters Theatre Company. Phil would like to thank Peter and everyone at Bear & Co. for this wonderful opportunity--and of course, a huge thank you to his family for their endless love and unwavering support. Chris McLeod made his professional acting debut with Odyssey Theatre in 1988. Since then, he received an Honours Degree in directing from the University of Ottawa and a Masters in stage directing from the University of British Columbia. He became Director in Residence with A Company of Fools in 1998 and was Artistic Director of Salamander Theatre for Young Audiences from 2000 to 2012. He returned to acting for adults as Compt De Guiche in Plosive Production's Cyrano de Bergerac in 2012. Chris has appeared in Bear & Co. productions as Prospero, Macbeth, and Tybalt/Friar Lawrence/Nurse. He was last seen on the Gladstone stage in Plosive Productions’ It’s a Wonderful Life. Chris would like to thank this wonderful cast for making him feel so welcome, his wife and kids for their love and support, and he wishes Chris Ralph a speedy recovery. Lydia Riding is an Ottawa-based actor and visual artist, most recently seen as Bess in GCTC’s Virgin Trial. Notable performances include 4.48 Psychosis; Pool (No Water), which received a 2016 Capital Critics’ Circle award for best student production (University of Ottawa); and Hannah Moskovitch's Little One at Live! On Elgin, directed by Lydia Talajic. Gabriel Schultz is a theatre, film, and television actor based in Montreal. He has collaborated with various professional and independent theatres in this city. As an actor, he has worked with companies such as Cabal Theatre, Infinithéâtre, Geordie Productions, Troisième Espace Theatre/Third Space Theatre, among others. As a writer, Gabriel has performed his own work with his solo company (Blue Ox Productions). In 2018, Gabriel received two META nominations for Best New Text and Best Independent Production for his original piece Invasive Species. Gabriel is so excited to return to his hometown of Ottawa to perform, and hopes you enjoy the show! A graduate of the Bishop's University Drama program, Kurt is no stranger to Shakespeare, having performed in productions of Twelfth Night, The Tempest, and Julius Caesar. Other past production credits include A Streetcar Named Desire at the Ottawa Little Theatre, Torch Song Trilogy with TotoToo Theatre, and Imaginary Lines with the Linden House Players. This is Kurt’s first show with Bear & Co.